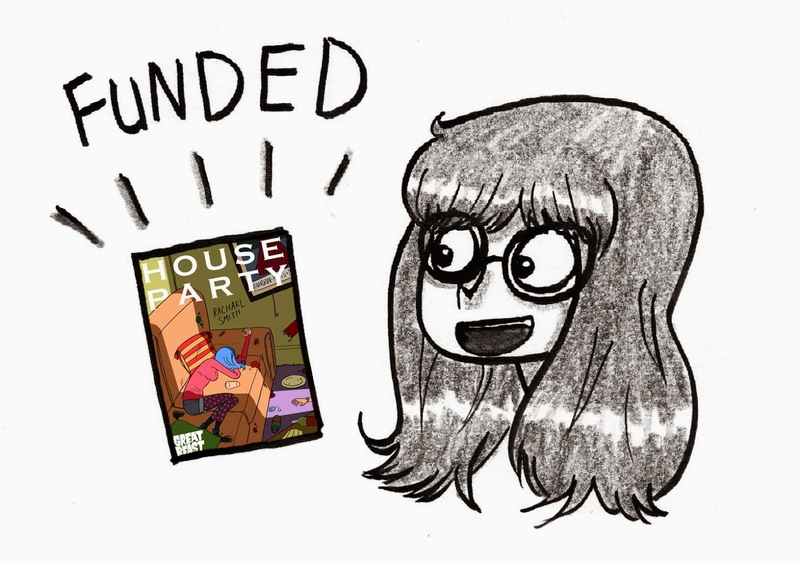 'House Party' Kickstarter update - Stretchgoal #1 reached! STRETCHGOAL #2 If we reach £3000 the cover will be UV spot varnished. STRETCHGOAL #3 If we reach £3300 every single physical copy of the book (including those already ordered) will come with an A5, Kickstarter-exclusive, signed bookplate. Thanks again guys, I love you ALL. Holy moly! You guys have been AMAZING! We reached our target amount in just 4 days - thank you so much to everyone who has backed the project so far. 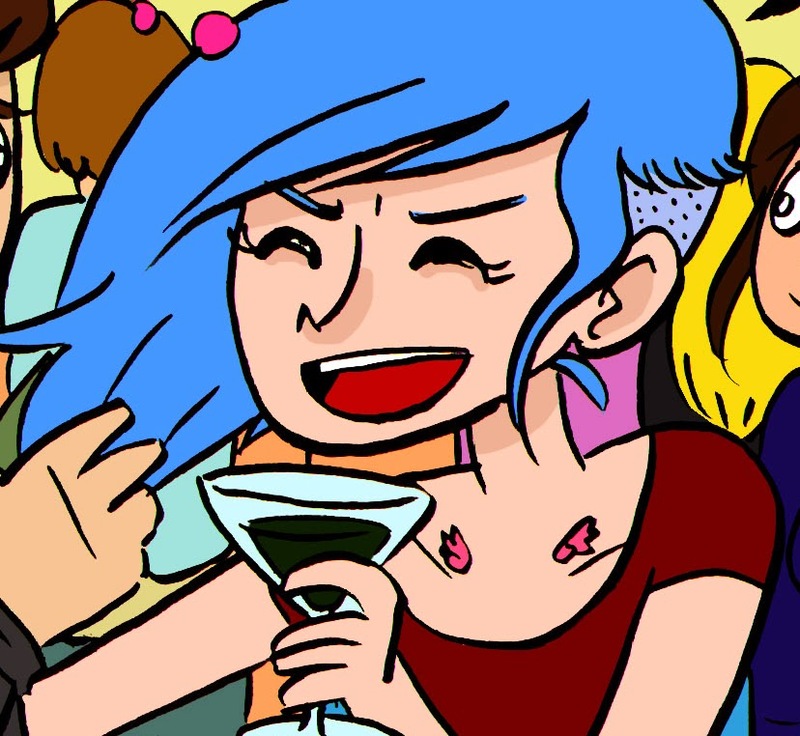 The comic is definitely going to be printed! YAAAY! 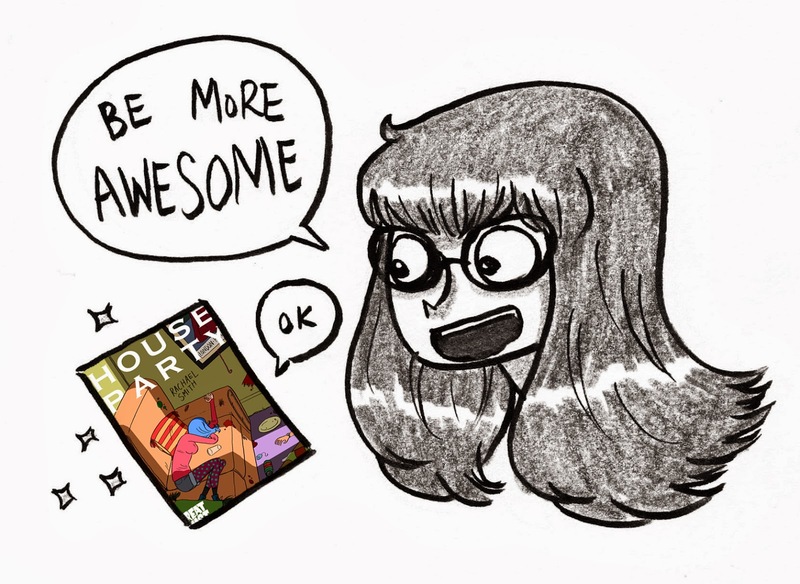 PLEASE keep those pledges coming in though, people - as we plan to use the remaining days of the Kickstarter project to make the comic EVEN MORE AWESOME with some WICKED STRETCHGOALS! 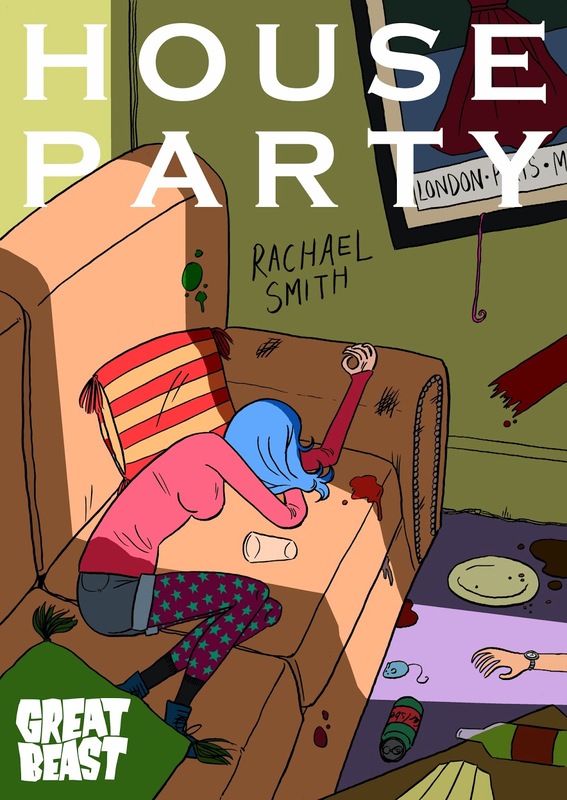 House Party pre-orders now open! If you've been at all curious about this book during all the buzz there's been about it, now's your chance to get your hands on one as soon as possible - there's also some Kickstarter-exclusive rewards that are pretty limited: ooooh! By pre-ordering through Kickstarter you'll be helping me raise the funds to get the books printed and make this project a reality! There's also a cheesy promo video on there that has me, Marc Ellerby, Adam Cadwell - AND my cat! You MUST want to see that, right? Check it out guys! 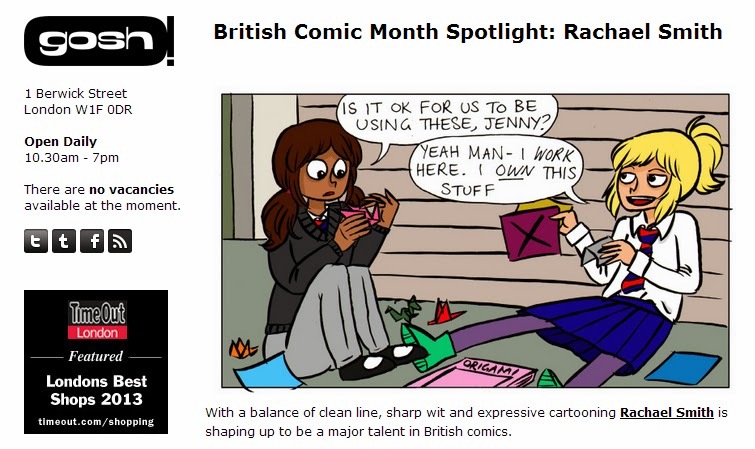 I was the first comic creator to be featured on Gosh London's British Comic Month spotlight! How nice is that?